Gabrielle from designmom.com asked me to come up with a ‘back-to-school’ themed project for her readers to try. 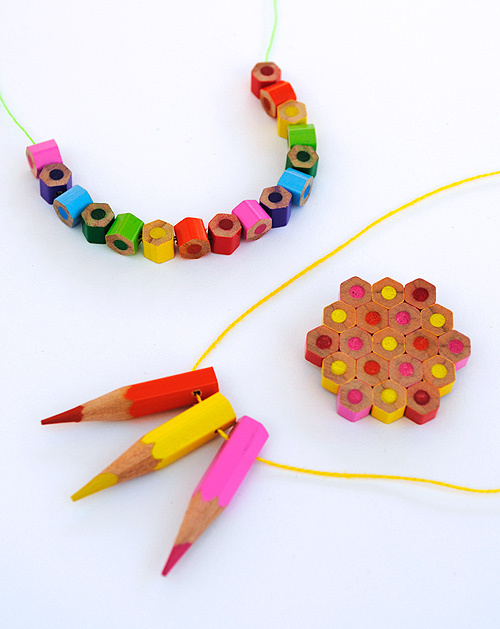 I never did put together a full tutorial for the crayon necklace I made a few months ago so it gave me the perfect excuse. Anyway I’ve had a heap of fun making these – one of my favorite projects so far (I think!). You can see the necklace, bracelet and brooch pictured. See below for a full tutorial or pop over to designmom.com. Gabrielle has just launched a Work Life Balance Project on her blog and I thought it made a really good read. It’s a subject close to my heart because I feel like I spend most of my days spinning plates! Speaking of going back to school my eldest son starts school on the 5th September. I’m so chuffed for him…because he really wants to go and seems so ready for it. On the other hand I’m pretty gutted. I’m going to miss hanging out with him! My youngest son goes in for a tonsillectomy on the same day! Emotion fuelled indeed! (Any advice on how to ‘hold-it-together’ would be most appreciated!). By the way if you’re digging the whole pencil crayon thing then check out these wonderful sculptures by Jennifer Maestre and this wonderful jewelry by Maria Cristina Bellucci. Wonderful! The broach, I can see it being adapted to be a Christmas tree decoration too. 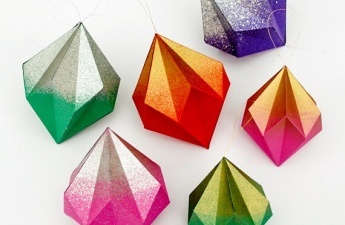 And the crayon beads could be added to a garland. And, oh how I love this inspirational crafting of yours! Thanks WS…keep popping over to your site and seeing all the wonderful pictures of your farmstead…one day I look fwd to breaking out of suburbia!! I had the same thing happen! On the 10th my older daughter started 2nd grade and my youngest (who is in Kindergarten) had her tonsillectomy! Take a toy from home if they allow it in for comfort. My mom made my daughter a special toy to take and she loved it. Also take him shopping for soft foods (lots) before hand. You’ll want him to eat and they need all sorts of soft foods for about 2 weeks. Less stress for you if you are not worried about getting stuff he will eat when thats the last thing he wants to do! Thanks for the advice Kelly. I’ll definitely be stocking up on soft food supplies for him….he’s skinny enough and Ii don’t want him to lose any more weight! How long did it take for your daughter to recover? Have you noticed any benefits since the op? Hope she is back to full health now! Thanks Kate! It took two weeks for her to recover. She has finally bounced back and is her normal self again! Her snoring seems to have stopped and she seems to be sleeping better as well. Hey. My daughter has had a few surgeries and a few times I have had to do them solo as they were in a different city to my husband. My advice would be to have a think about what you are going to when your son is in surgery. It was the longest time ever for me. The one time that I had my husband there it was not so bad but there was still a lot of floor walking going on…. Thanks Sarah! Yep…I think floor pacing will be on the agenda for me! This is such a wonderful idea. You’re amazingly creative! Fabulous! I’ll have to give this a go. Thanks for the FYI on making these great pieces! 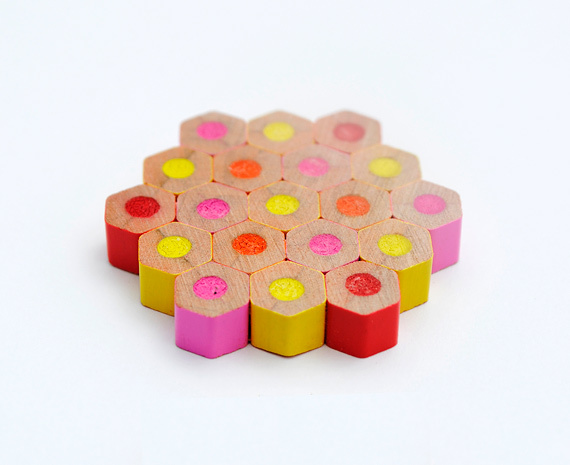 I am soo excited…I think I will get a new box 36 ct of colored pencils! My granddaughter had these necklaces at her birthday party. They made them as a group project and a take home treat. So cute! Oh my God, these are divine! 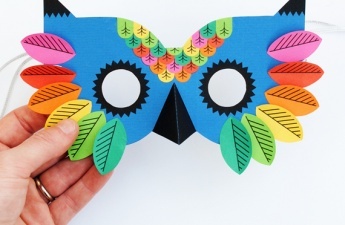 I’m a primary school teacher and so many of my colleagues would wear these, I might make one for a work-friend for her birthday! 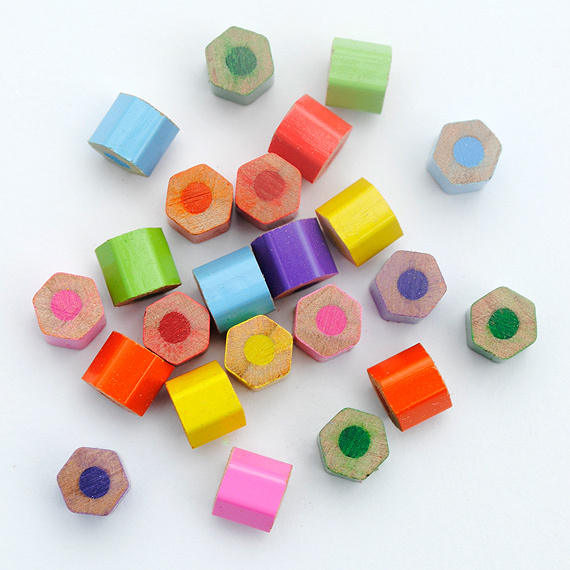 Plus the bonus is that we have loads of bits of pencils in school which are thrown away but they they could easily be used. Genius woman! Es genial!!! acabo de decubrirte y todo lo que tienes es maravilloso!!! Muchas gracias, seguiré tus novedades. Simply ingenious!! I made the necklaces as Valentine’s Day gifts for my kids’ teachers. It was a huge hit!! Rolling all those compliments your way. Thanks Kate!! Great idea, but where is the print button? 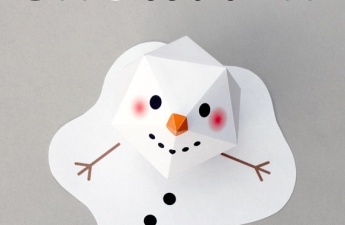 I will make this craft, it is so ingenious. Wish I had thought of it. Really don’t like all the buttons that send the craft to other places on every craft I go to now. I don’t use them. I copy, paste and print. I don’t need my page cluttered and a lot of my friends don’t appreciate getting stuff they don’t need or use. Hi…. !…I am IRANIAN.I live in Isfahan.this website is very L0vely. 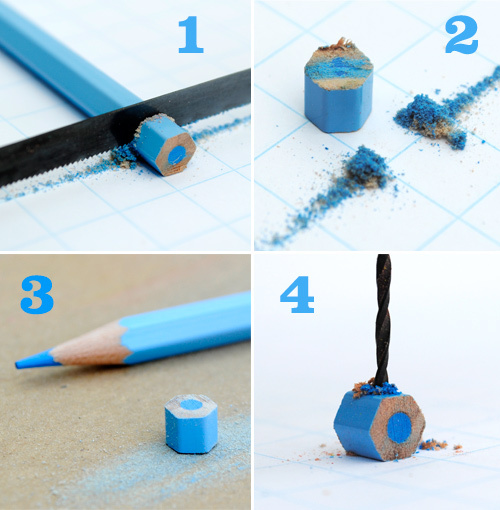 How do you hold the pencil bits still when you drill? Do you use some sort of clamp? This project is really cute! I really like the necklace but am concerned about being colored on while wearing it. Did you put any finish on the lead to prevent this? 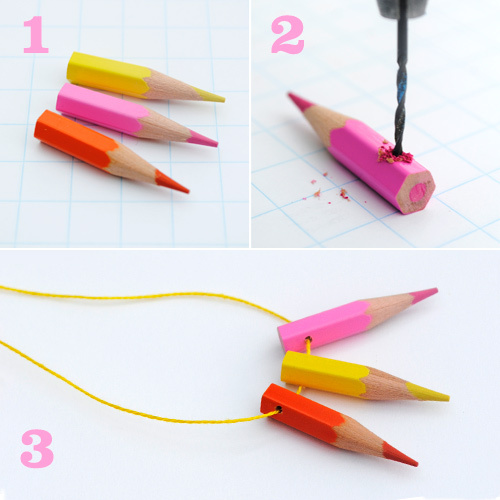 Also I think I would just pop the lead out for the bracelet instead of drilling holes in the tiny peaces or drilling the holes before cutting the pencil down into the little beads. Love how colorful they are!